Loving Uber! | What Next? 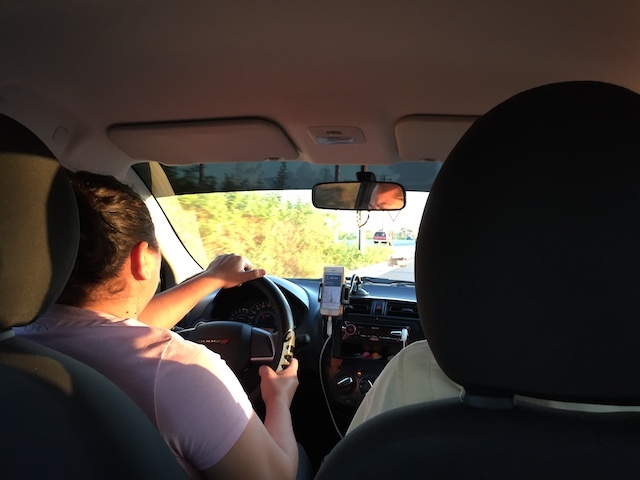 We get around everywhere by Uber here in Mexico. The rates are so cheap and there are so many drivers available that downloading Uber apps on our phones and using them for our transportation needs is a far more economical and practical choice than renting a car. Some drivers don’t speak English but others do and we have learned plenty of interesting things from them. Many have left jobs related to their university degrees- business, technology, innovation, architecture, engineering to drive Uber because they can make a better living here in Mexico as a driver than as a professional. Two of our drivers were Americans who had roots in Mexico, had come here for visits, fallen in love with Mexican women and had children. Since getting American immigration papers for their families is almost impossible they must remain here. Some people drive Uber because it gives them an opportunity to have two jobs or it gives them the flexibilty to spend more time with their kids during the day. One of our drivers was a farmer and he and Dave discussed their family farms during our trip. One driver who didn’t speak English asked Dave in a questioning way “música?” When Dave said ‘The Beatles” the driver understood him immediately and played one Beatles hit after the other on his car sound system during our ride. We have only had one female driver. She didn’t understand English but Dave and Rudy managed to convey that they wanted to stop on our ride to pick up some items from the grocery store. While the fellows went into the store I showed her pictures of my grandsons on my phone and she showed me photos of her family and with gestures and the few words we knew of each other’s languages I learned she had five brothers and two sisters,seven nieces and nephews and that her grandmother had died last year. We even figured out that her nephew and my grandson shared the same name. A couple of our drivers have moved here from Mexico City because there is so much less crime and extortion and corruption here in the Yucatan. They gave us lots of interesting reasons why that is the case. I especially love Uber trips I make on my own. My last two I was lucky enough to get drivers who both spoke a fair bit of English and we had fascinating half hour conversations on our ride home from Merida. 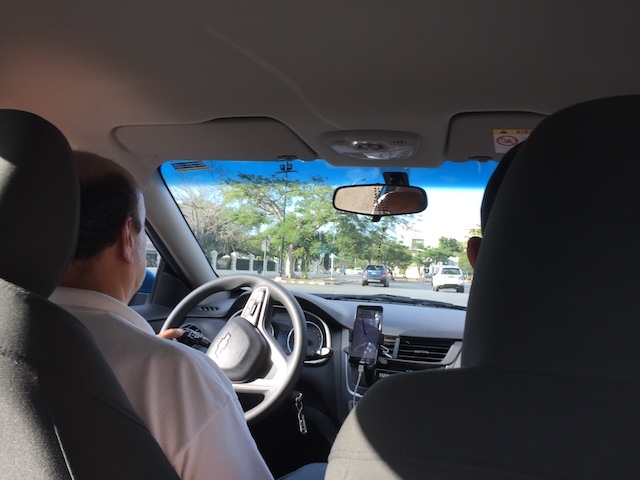 Uber is fast and convenient but the bonus for me is that I am meeting lots of interesting people and am learning so much about Merida and the Yucatan from our local drivers.